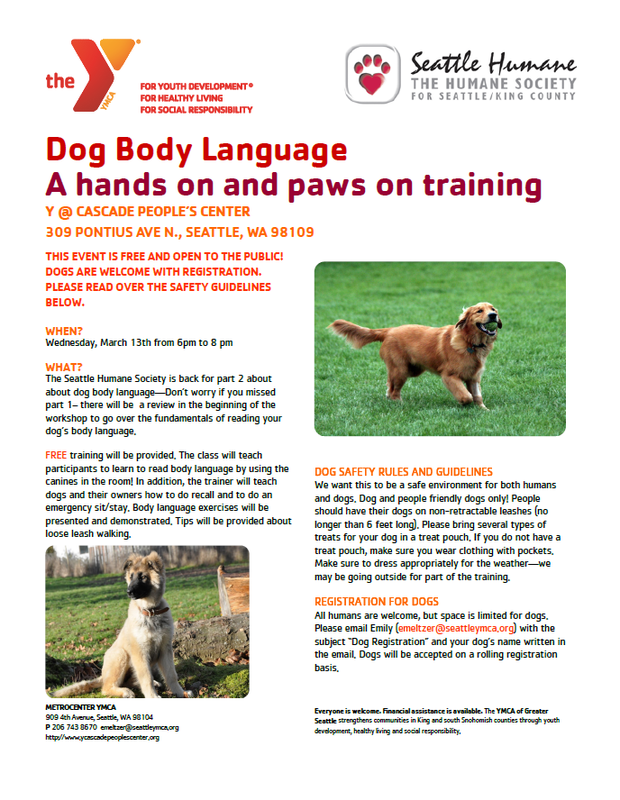 Dog Body Language Workshop – Part 2! Space for dogs is LIMITED! Please email Emily (emeltzer@seattleymca.org) with the subject “Dog Registration” and your dog’s name written in the email to register.